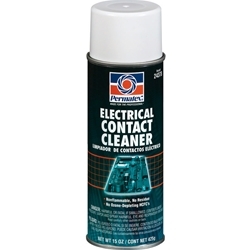 The nonconductive and noncorrosive cleaner dries in seconds with no rinsing required. Removes grease, oil and other surface contaminants. Safe on all metal surfaces and many plastics. Suggested Applications: Switches, contacts, relays, motors, PC boards, connectors, tape heads, scales, sensors, control panels.